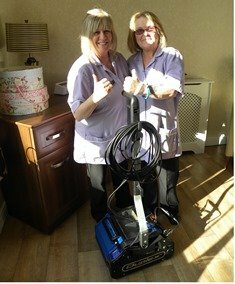 Following a recent trial of the Duplex cylindrical brush floor care machine with steam, Country Court Care decided it would be the perfect partner to improve and maintain the standards of cleanliness they strive for in their homes. With an ever increasing diversity of floor finishes the Duplex was able to make a noticeable difference to all surfaces without the use of chemicals. The Group have already installed machines into four of their homes and plan a steady rollout to the remaining sites in the coming months. Duplex continue to go from strength to strength in the care environment with a versatile machine that is easy to use and environmentally friendly.